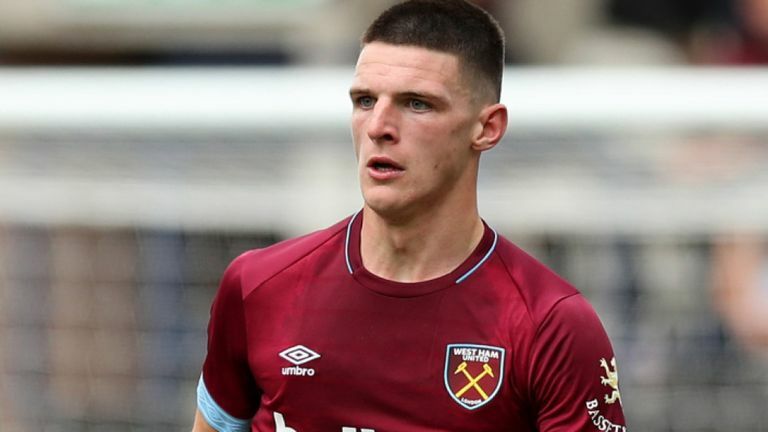 Tottenham join the race to sign West Ham United midfielder Declan Rice and set to battle with Merseyside club for the player. Spurs need a new defensive midfielder as Mousa Dembele moved to China, Victor Wanyama has an injury and their back-up is necessary. Ireland international is the best choice in this situation as he has an excellent season and paid big clubs attention. Mauricio Pochettino will do everything to add him during the summer transfer window. Liverpool and Man United also interested to sign him and there will be a real battle for the footballer. His price could increase and become much more. Rice spent his years of youth with the English club and amazed everyone with his abilities. He has a huge potential and can become a world-class midfielder if he continuous improvement. In this campaign, Declan already made 27 appearances, scored one goal and made one assist in all competition. This is an impressive result and he can improve his consequences with high-class partners. The 20-year-old footballer is contracted with Hammers until 2024 and his release clause is around €20m. He also named in national team squad several times which is already a big success for the midfielder. Tottenham ready to pay big money for the player during this summer. Spurs have amazing results in the Premier League as they are in a third place in the table and have a great chance to win the tournament. English club have to face Borussia Dortmund in the Champions League.